Comments: This book has no marking or highlighting. No missing pages. No worn-out pages. This book is still NEW!!!!! 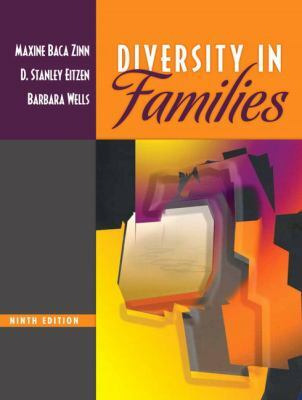 Baca Zinn, Maxine is the author of 'Diversity in Families (9th Edition) (MyFamilyKit Series)', published 2010 under ISBN 9780205693078 and ISBN 0205693075. Loading marketplace prices 15 copies from $10.12 How does the rental process work?